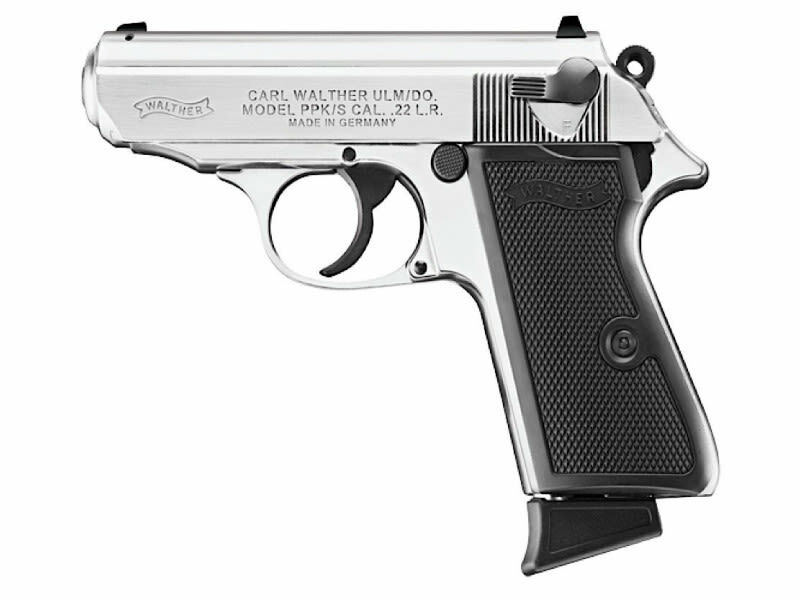 Walther 5030320: The PPK/S .22 is identical to its PPK/S 380 brother, but you can shoot 22LR rimfire ammo for pennies a shot and recoil is minimal. 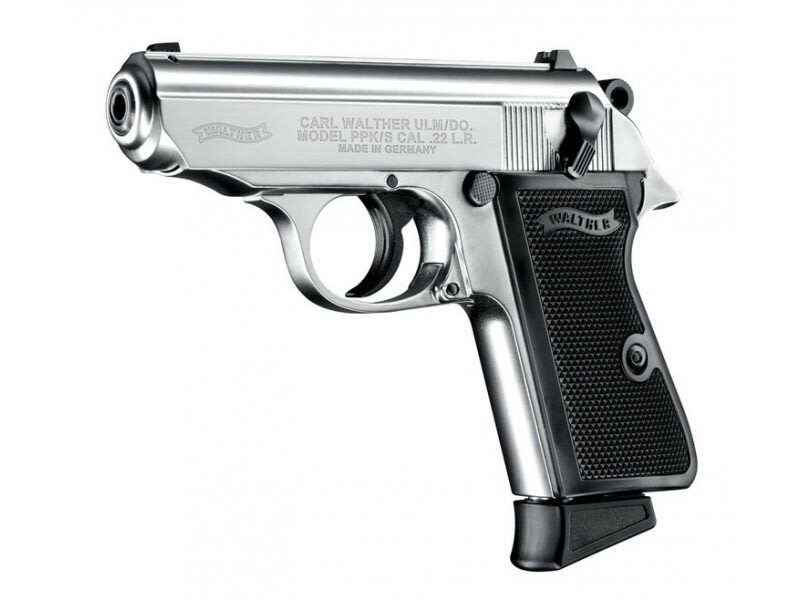 PPK/S is the 1968 "Sport" version with longer grip, based on the legendary 1931 design. The top strap is cut with a wave to reduce glare and rear slide serrations make for non-slip grip and classic Walther styling. The internal slide stop reduces external snags. It has fixed steel sights and classic Walther checkered grip panels. The double action trigger of the PPK/S 22 has a 17.5 lb. pull while the single action has a 6.6 lb. pull. The beaver tail and magazine finger extensions improve shooting comfort. The PPK/S .22 is great for the whole family, a quality firearm to someday pass it on to the next generation. This model has a black frame with a nickel finish. 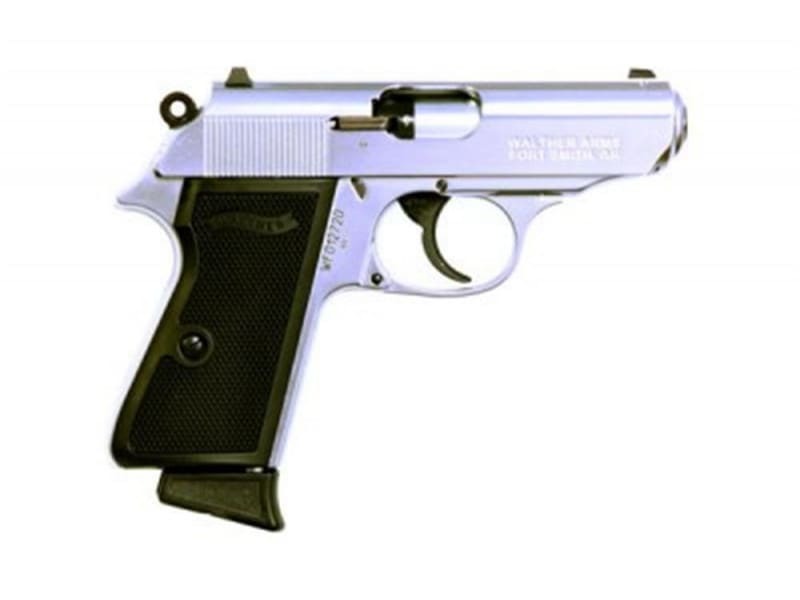 The PPK/S .22 blends the iconic PPK design with the fun and cost savings of the .22 LR The PPK/S .22 is identical to its PPK/S 380 brother, but you can shoot 22LR rimfire ammo for pennies a shot and recoil is minimal. 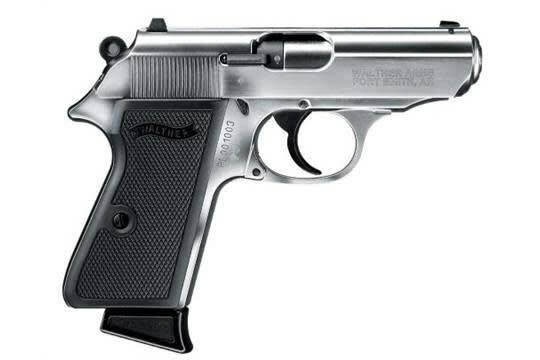 PPK/S is the 1968 "Sport" version with longer grip, based on the legendary 1931 design. The top strap is cut with a wave to reduce glare and rear slide serrations make for non-slip grip and classic Walther styling. The internal slide stop reduces external snags. It has fixed steel sights and classic Walther checkered grip panels. The double action trigger of the PPK/S 22 has a 17.5 lb. pull while the single action has a 6.6 lb. pull. The beaver tail and magazine finger extensions improve shooting comfort, and threaded barrel comes standard. 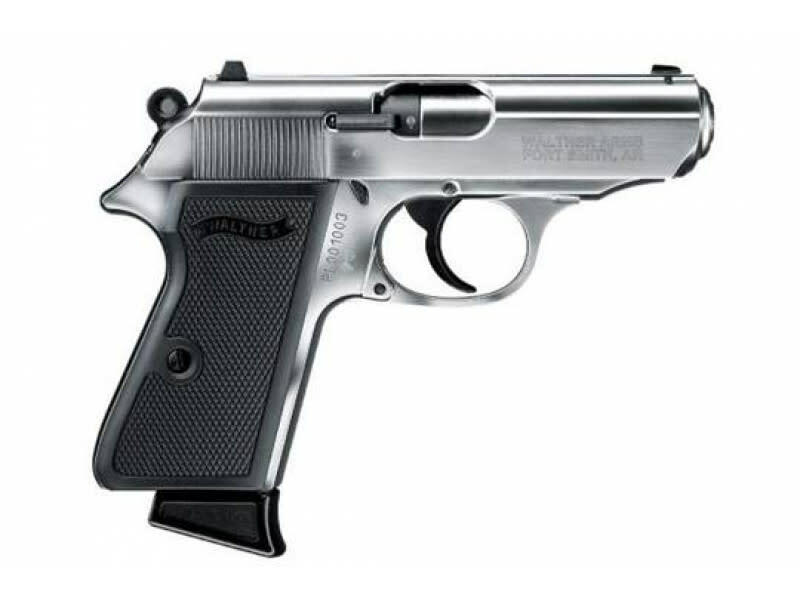 The PPK/S .22 is great for the whole family, a quality firearm to someday pass it on to the next generation. High Gloss Nickel Finish.